“Hammer to Fall” is a 1984 song by the British rock band Queen. Written by guitarist Brian May, the song is the eighth track on their 1984 album The Works. It was the fourth and final single to be released from that album, although the single version was edited down by thirty seconds in contrast to the version on the album. Different sleeves were used to package this single and the live picture sleeve is now a collector’s item. 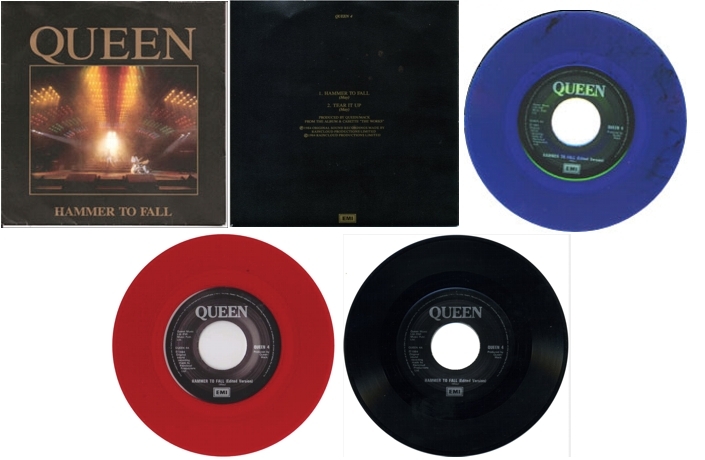 The first issue of this single, with a long-distance live shot of Queen on the picture sleeve, are stalwarts of the collecting scene. 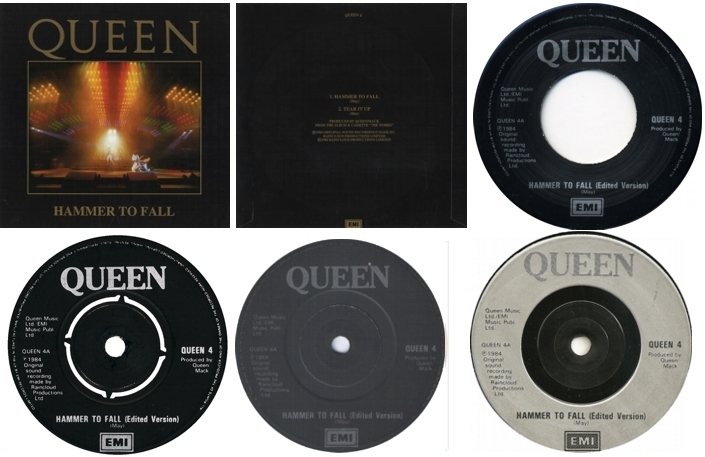 The single was shipped to branches of Woolworth’s before, as the story goes, Brian May decided he didn’t like the image as it gave the false impression that the single was a live recording. The sleeve quickly pulled in favour of a last minute replacement featuring little more than the record’s title. The picture sleeve was released in UK, USA, CANADA and SOUTH AFRICA. Also a bootleg exist of the UK live sleeve from mid 90s. This is a video of this single from the channel Collecting Queen!